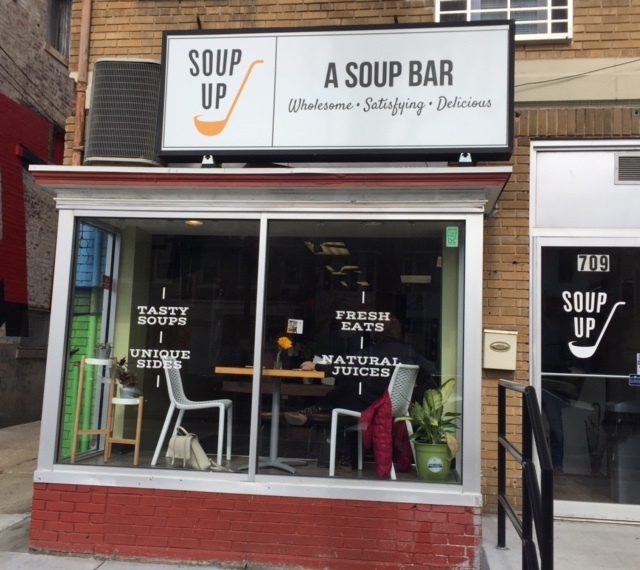 The new soup up at 709 Kennedy Street NW is serving up delicious soups. Soup Up recently relocated from Union Market to their current space at 709 Kennedy Street, NW. At a party for their opening, patrons filled the space eagerly providing well wishes and continued support to Donna Henry, the owner. The vibe in the space reflected a bowl of nourishing soup – it warmed the heart and brought people together. I was excited to be present and received many recommendations on what I should sample. Described as having the ability to make ordinary food extraordinary, Soup Up didn’t disappoint as I was served soups, spring rolls, jerk chicken wings and great conversations. Compton, a long-term patron, shared, “I like the variety of soups. Whether spicy or not, cold or hot, they are all wonderful.” Kehmari, who describes herself as a vegetarian and part-time vegan, explained that the soups meet her dietary needs very well. She praised the sweet yam spring roll which can be eaten as an appetizer or a dessert. There were many notables in the crowd that night including Councilmember Brandon Todd, who stopped by to offer his support and present a letter from the Executive Office of the Mayor. I watched patrons laughing, sampling the food, meeting each other and becoming a community. Enjoying a bowl of soup is nostalgic and can evoke wonderful childhood memories. The Kennedy Street location provides the right space and energy where people can connect in wonderful ways. I returned the next day for more soup. My favorites, so far, are the Bed-in-Breakfast and the Green Machine. Soup Up encourages everyone to fall in love with soup again and experience food that not only tastes exceptionally good but is good for you. See their full menu on their site. If you mention this article in the Petworth News, you will receive a 5% discount on your order. As residents address the changing urban space and the craziness of the holiday season, family issues including parenting and caretaking, mental health needs may get ignored. 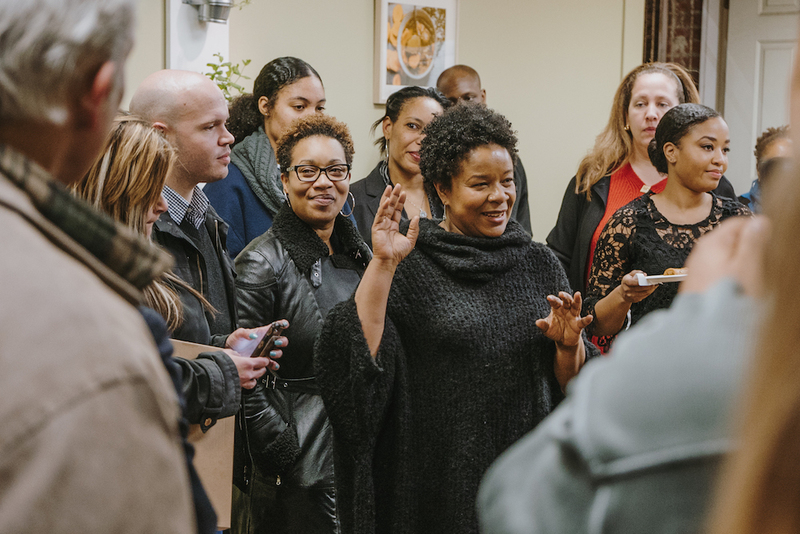 That’s why Heidi Vanderwerff and Marjorie Strachman Miller started Kennedy Counseling Collective (508 Kennedy Street NW), with the goal of offering an inviting space that fosters a place of mental healing and health. They are committed to helping people find their voice along with the life they want to live as city dwellers.